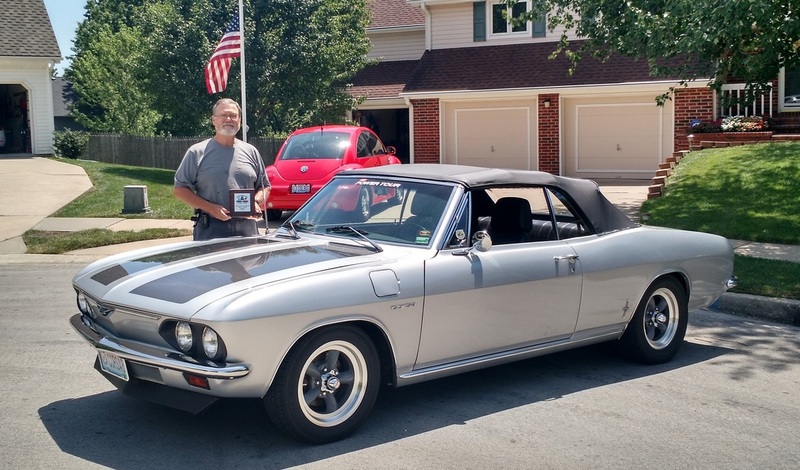 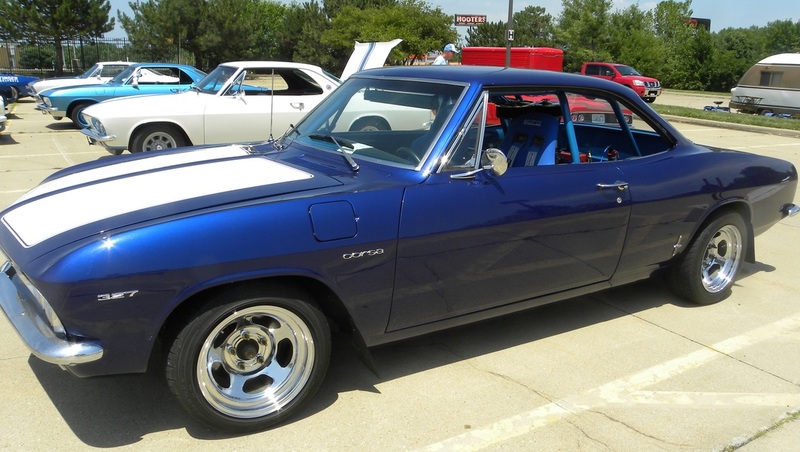 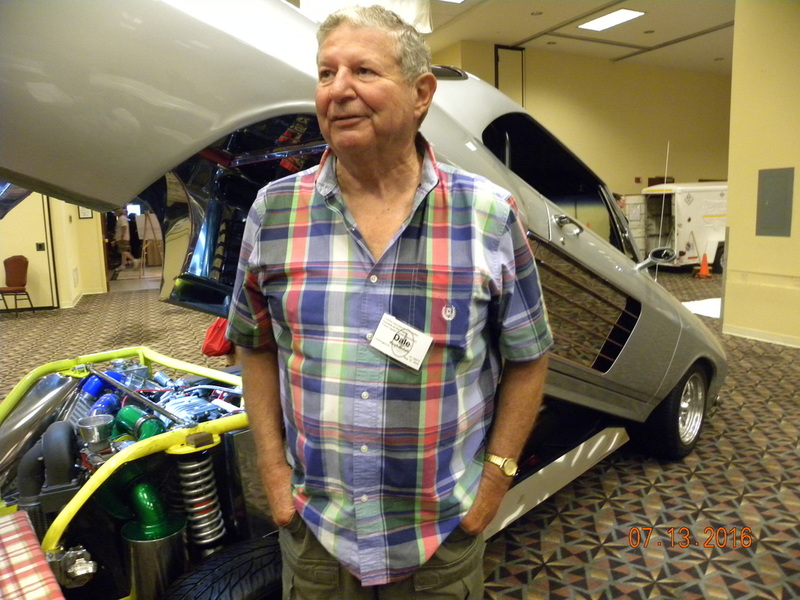 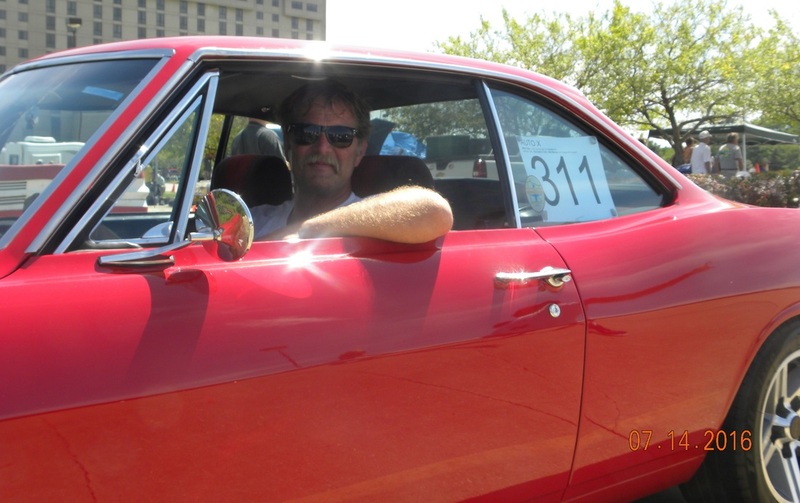 Karl Cozad entered his silver rear mounted 215 V-8 convertible in the Concours competition this year. 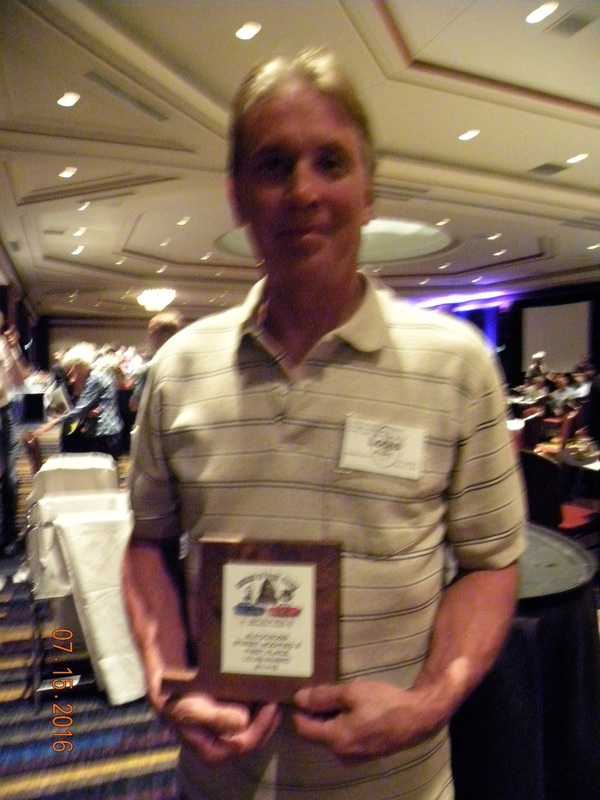 In his first year, he scored 92.57 and was awarded a trophy in the Primary Silver category. 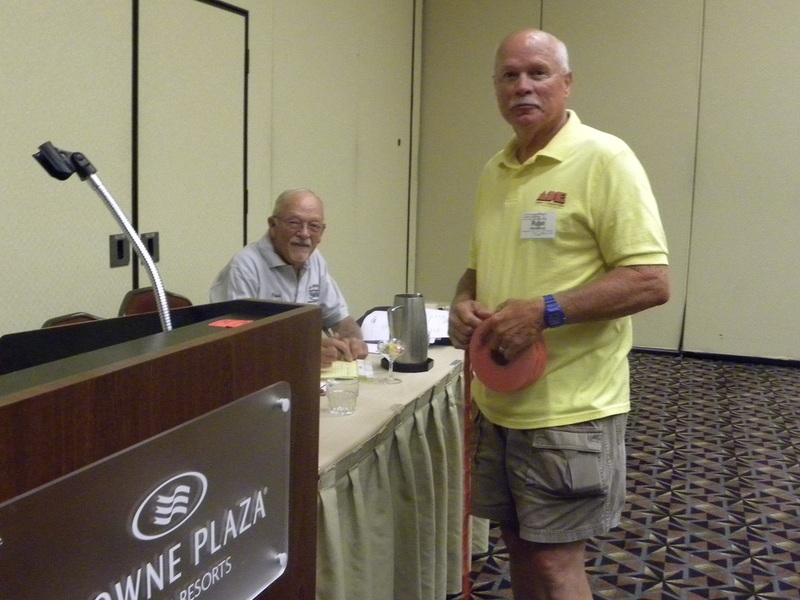 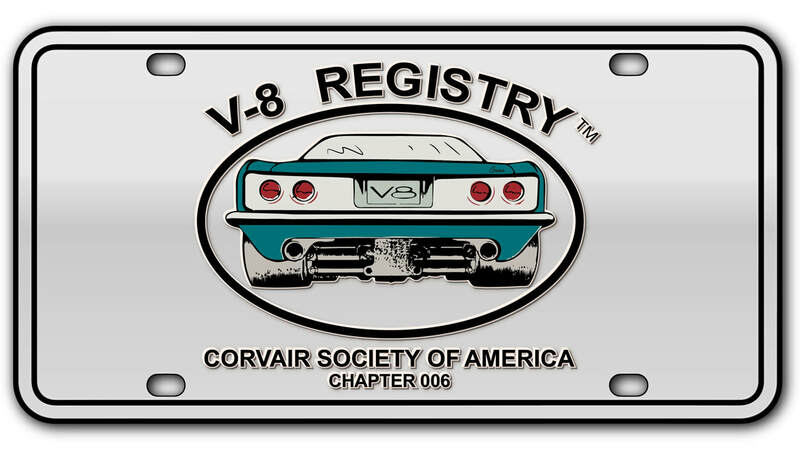 Russ Brandenburg, Founder of the V8 Registry with Paul Beck, Treasurer of the V8 Registry.